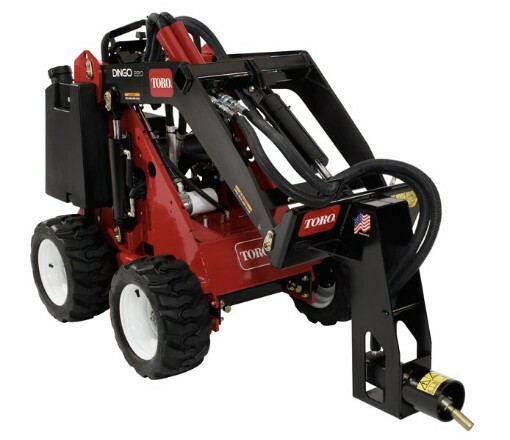 Looking to rent a Boring Unit attachment for the Toro Dingo in Rochester NY, Ithaca NY and Western New York? The Boring Unit Attachment is a widely respected Tool Rental item. Precision engineered machine equipped with universal joint to maintain the rod at the proper horizontal level. Working depth = 19 inches. Able to work with pipe that is up to 3 inches in diameter. Working Width = 6 inches.